I just love garden surprises! I go out into my garden just to say hello to my plants and then bing! There it is! Today it was a cantaloupe that is about the size of a grapefruit. 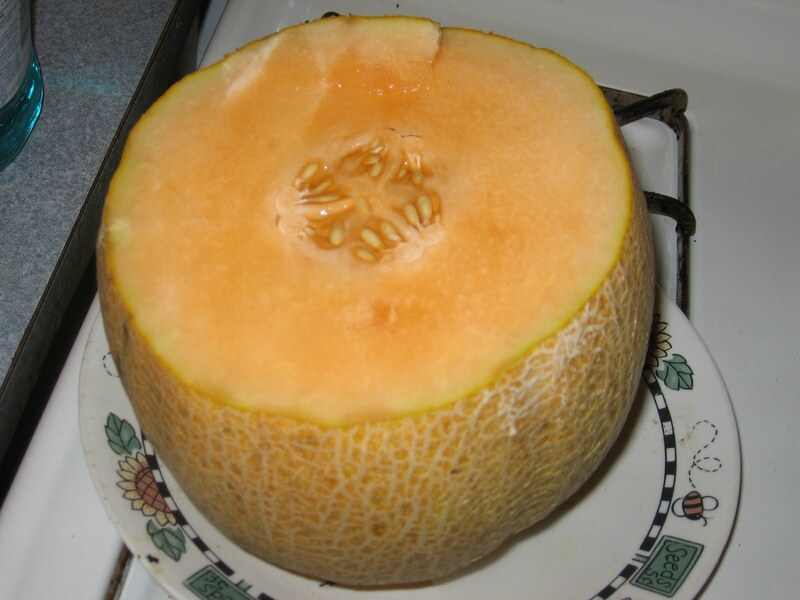 Did you know that cantaloupe is the only fruit that will slip from the vine when it is ready? So harvesting it is basically fool proof. You can also smell cantaloupes from several feet away when they are ripe. It’s a very sweet smell that makes your mouth water! But that smell also attracts fruit flies and ants. 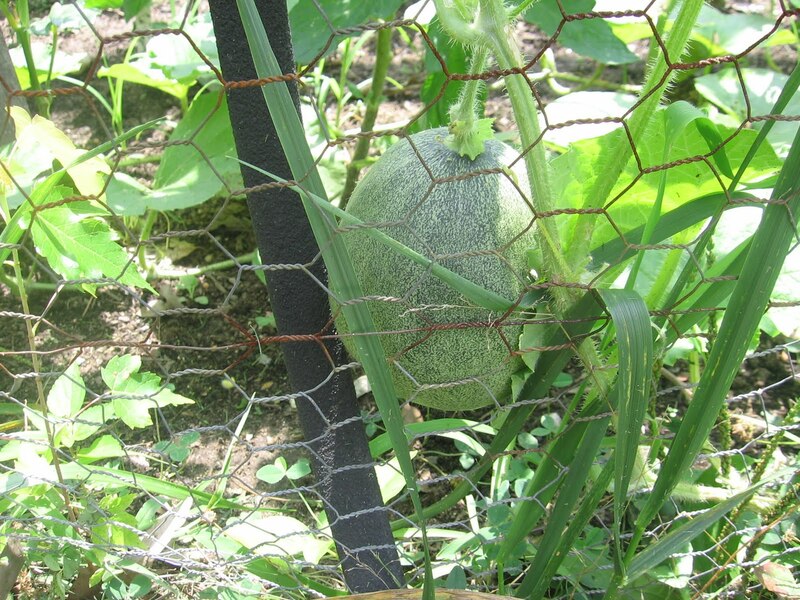 So keep an eye on your cantaloupes as they come close to maturity. Last summer, one of my lopes was almost destroyed by a gaggle of ants that found their way to my precious produce. Cantaloupes are probably my hubby’s most favorite thing that comes from the garden. Here’s another garden nugget that you may not know about: they have lots of potassium and are great for lowering your blood pressure! Who says sweet treats aren’t good for you?! Well this is all for now garden gals and guys. Until next time! Oh what a wonderful treat to find a melon ready to eat! I love gardening, but now that I have moved to the desert it will be a bit of a challenge. What could I grow in sandy soil with high heat as a constant element?